We would like to provide you with the following health-related articles, not to discourage you from purchasing a new kitten, but as an effort to keep you informed of the dangers of these diseases and enable you to protect your pet. Due to the seriousness of the diseases covered, we at Boutique Kittens would like to make you aware of our practices in regards to protecting our kittens from communicable diseases, such as FIV and FeLV. 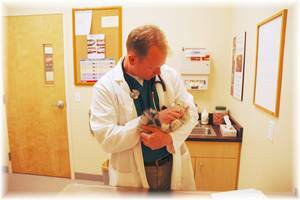 All of our breeders are tested for FIV and FeLV. Any new cats brought into our home are quarantined for one month so that we can bathe them and test them for FIV and FeLV. We do not vaccinate against FIV at this time, per the recommendation of our veterinarian, as all of our cats remain indoors and have been tested (and thus do not need to be vaccinated). In addition, the vaccination presents some risk to the cats. When it comes to the health of our cats, we prefer to err on the side of caution, and follow our veterinarian’s directions to the letter. In some cases, we even spend the time and money to retest and sometimes revaccinate our cats (when our vet deems it necessary). All of our Breeders have tested Negative for FIV and FeLV.